Lexi Smart wakes up in aLondonhospital after a car accident thinking she has a boyfriend called “loser Dave”. She is a sale associate in flooring, and has just missed her father’s funeral. Then she realizes she has lost 3 years of memory and is amazed to find she now has the perfect life. Her frizzy hair is now straight and glossy, her scraggy teeth are now prefect and shiny, her body is toned and she is now head of the flooring department at work. The biggest surprise is that she is married. Her husband, whom she does not recognise, is rich and gorgeous. She slowly begins to wonder if this new life of hers is really as perfect as it seems. Her best friends will not have anything to do with her, and her husband really is not her type. Then she meets a striking man in jeans, T-shirt and untidy hair who drops the biggest bombshell of all. This chic lit is a fun book to read and will have you laughing out loud at times. I found it entertaining and humorous, and would suggest it as a light, fun holiday read. 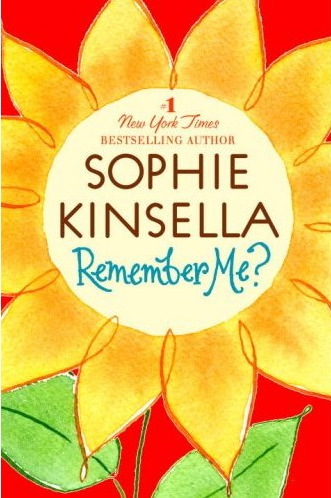 This entry was posted in All, Fiction, Recommended Reading and tagged Author, book review, books, Parramatta City Library, reading, Remember me, Sophie Kinsella, Writer by admin. Bookmark the permalink. Brilliant writing Jenny. It keeps me guessing what did the man in the T-shirt, jeans and untidy hair did to her! Very interesting! I would definitely read it.